Keep your home tidy in style using our set of 3 storage trunks, which feature an ostrich leather effect finish for an eye-catching look. 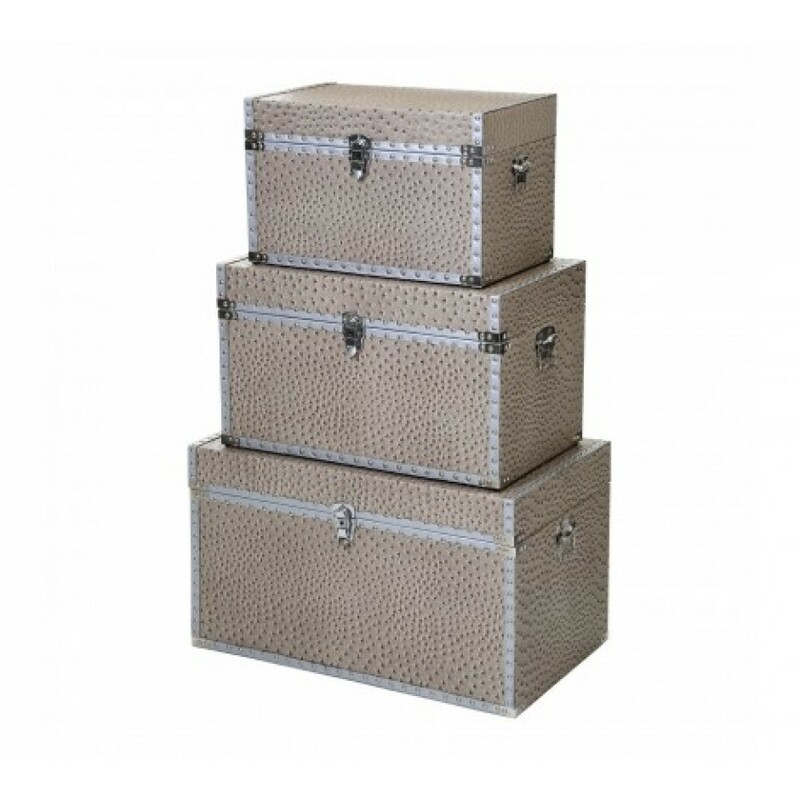 The three trunks, small, medium and large, are made from durable and reliable MDF, so whatever you store in them, whether it's clothing, linen, or bits and bobs, they will be safely kept, especially with the locking clasp on the front. Metal detailing on the edge of the boxes give a chic look, while adding to their strength. A stylish, natural ostrich leather effect finish that adds an animalistic charm to your room. Handles on either side of the trunks make them easy to manoeuvre when required. Ideal for use in your bedroom or living space, the set of three ostrich trunks will make a functional and fashionable addition in your home.